The Architectural Monolith’s days are numbered. As companies are becoming more and more agile, and see how they can now adapt in order to innovate and compete faster than their competition, software development teams are being forced to maintain and evolve large, monolithic applications at a pace of change that those architectures were never meant to withstand, let alone embrace! Microservices are a new approach to architecting applications. They are simple, single-purpose, lightweight architectural components that enable you to deliver software faster. The microservice architectural approach also aims to lead to software that thrives on change while at the same time being secure, performant, and stable. This meet up is for people interested in architecting, designing, deploying and maintaining micro service based software architectures. Sorry, looks like London μServices (Microservices) User Group haven't got any events scheduled for the moment! Identity Management and Single Sign-on - How Much Flexibility? The software world is moving from a monolith architecture to microservices and serverless. However we still rely on centralised DBs and services, getting stuck in a microlith architecture. Serverless or Functions as a Service is growing in popularity and can be liberating. But the configuration of AWS Lambda and friends can be fiddly. The experience of developing, deploying, iterating and versioning your Lambda functions can be painful. Event sourcing is a pattern for storing entities such that we lose no information by storing changes to our entities. There are a number of benefits in using event sourcing, but there are also some common pitfalls that a lot of developers face when trying to put it into practice. 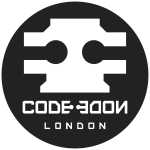 Come join us for July's London Microservices Meet Up! In the emerging architecture of microservices, teams try to be as agile as possible.